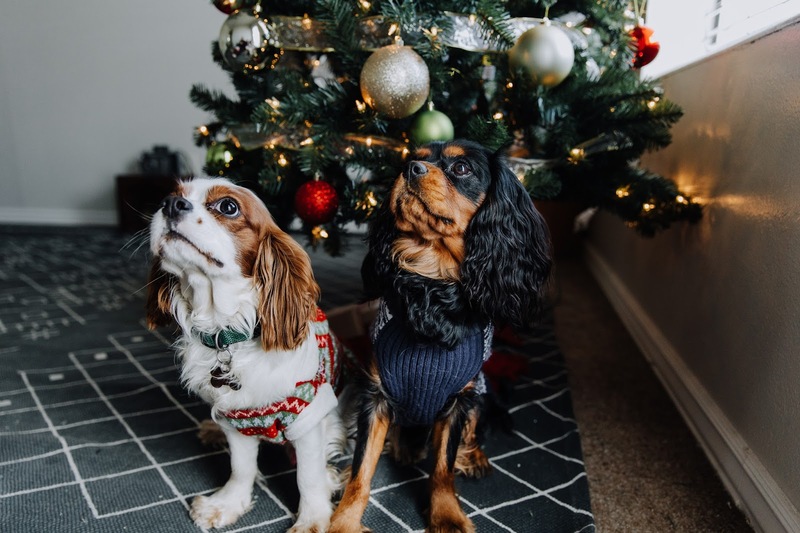 THE GUNTHER GANG: Hey look, Christmas sweaters. 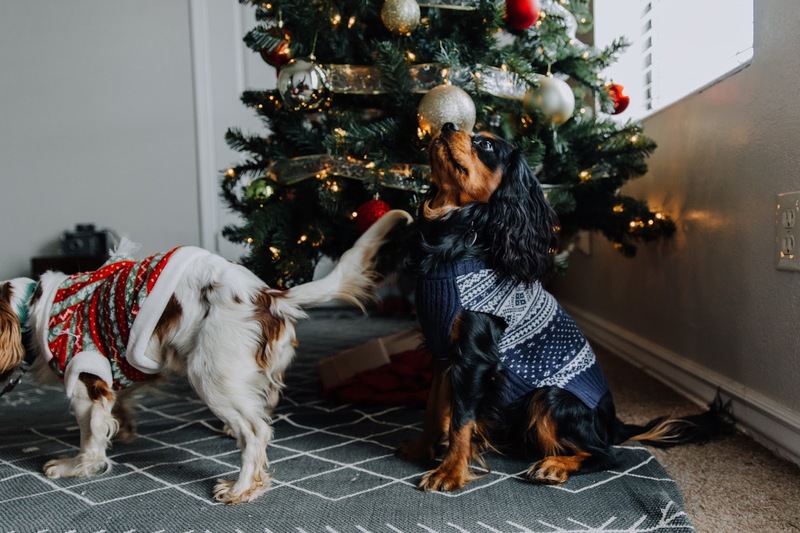 We got our pups a couple of cute little Christmas sweaters (as if they weren't cute enough, I mean, come on). 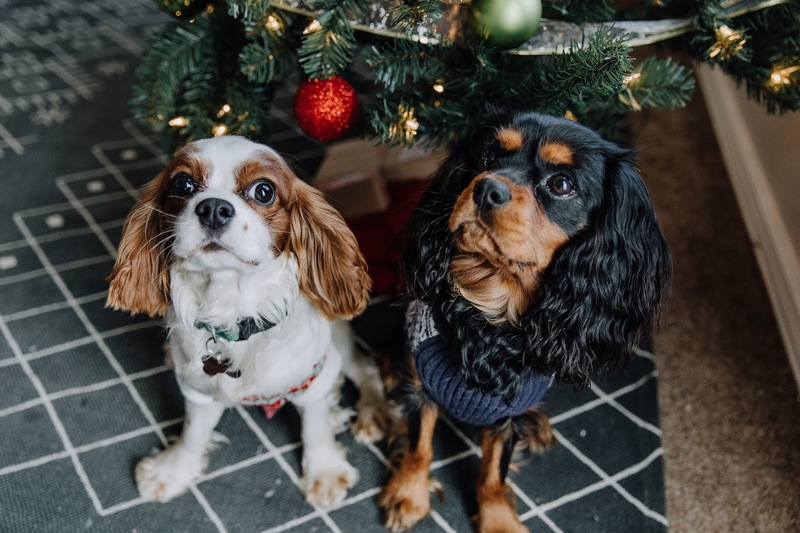 They've become quite the little pair! Kingsley has assumed the role of "big brother" even though he's technically the little brother in terms of age. We originally named the new dog "Dobby," after the house elf (holla to all the potter heads out there), but we ended up calling him "Dopey" so much that it eventually just became his name. So, behold, Dopey the Special Dog. He's the sweetest little dude. He actually has a mental handicap, which honestly makes him one million times cuter, if you can even believe it. That being said, his mental handicap makes normal doggy things a little harder for him, but he's a champ and has been doing so good adjusting to our family and his new schedule. He's terrified of new friends and will run away from anyone who tries to pet him (besides Taylor, he loves Taylor). But he loves popcorn and scratches behind his ears, so he's pretty easy to win over. 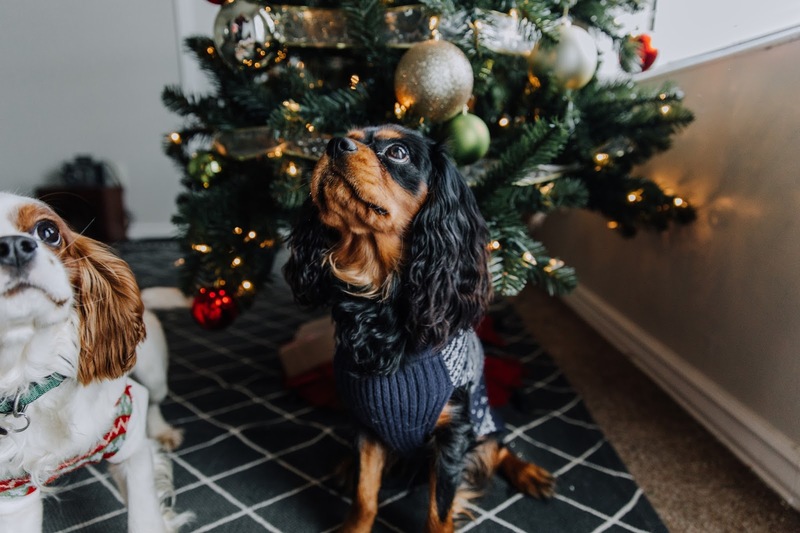 We love these christmas-sweater-wearing dogs! The fact that they match makes me happy too!